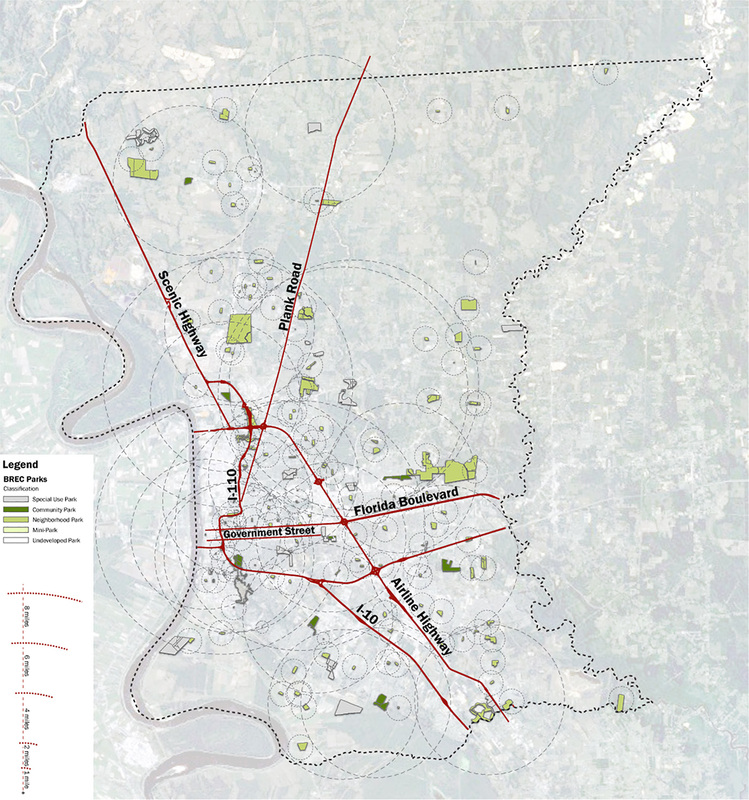 Dana Brown & Associates was a member of the team selected to develop a new comprehensive plan for East Baton Rouge Parish. 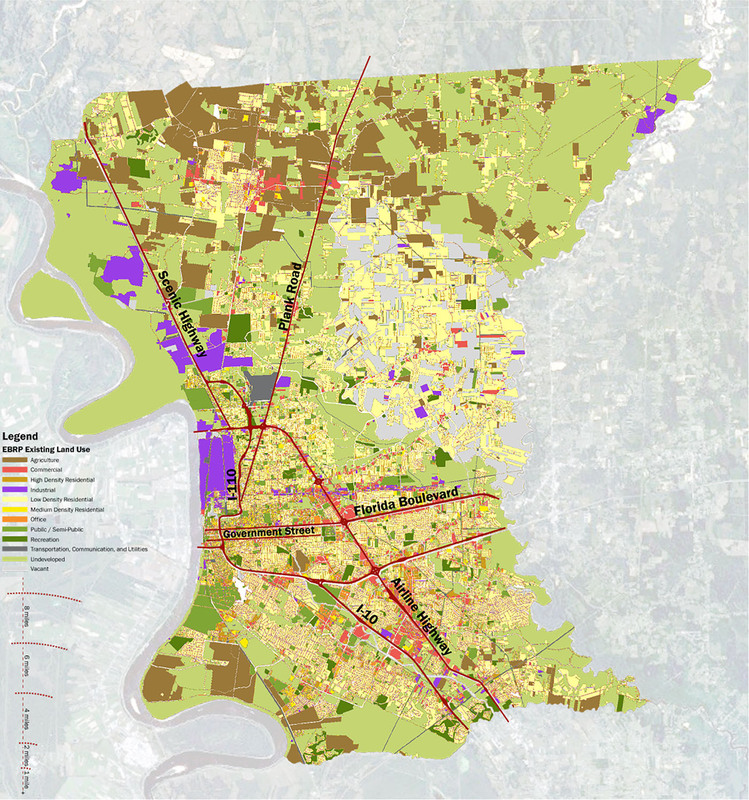 The Comprehensive Plan focuses on all the key elements in developing a vital and sustainable city, including public transit development, land use changes, public service needs, housing development, stormwater management, watershed analysis, wetland protection, park access, and public open space. As part of a larger team, Dana Brown & Associates was specifically responsible for two key components of the Comprehensive Plan; the Environment Element and the Parks and Recreation Element, which the team viewed as being inextricably linked. 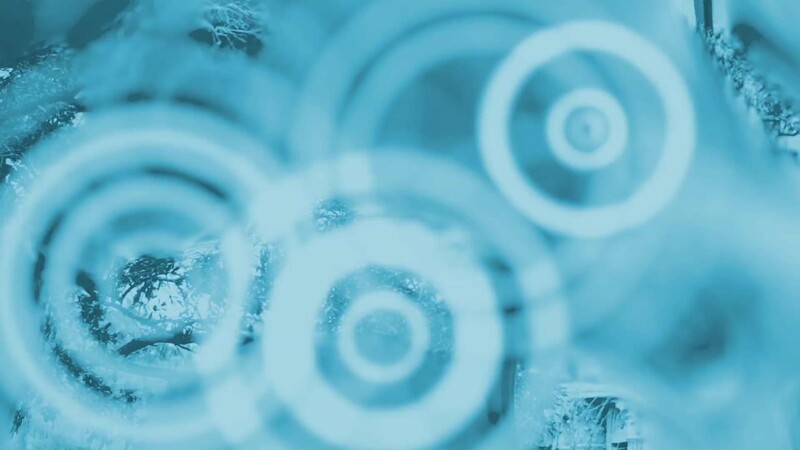 DBA developed an innovative methodology to identify and prioritize areas most in need of restoration and conservation. The basis was the development of an extensive Watershed Protection Plan incorporating land use, land cover, soils, stream health, point source pollution, flood zones, wildlife richness, and development density. 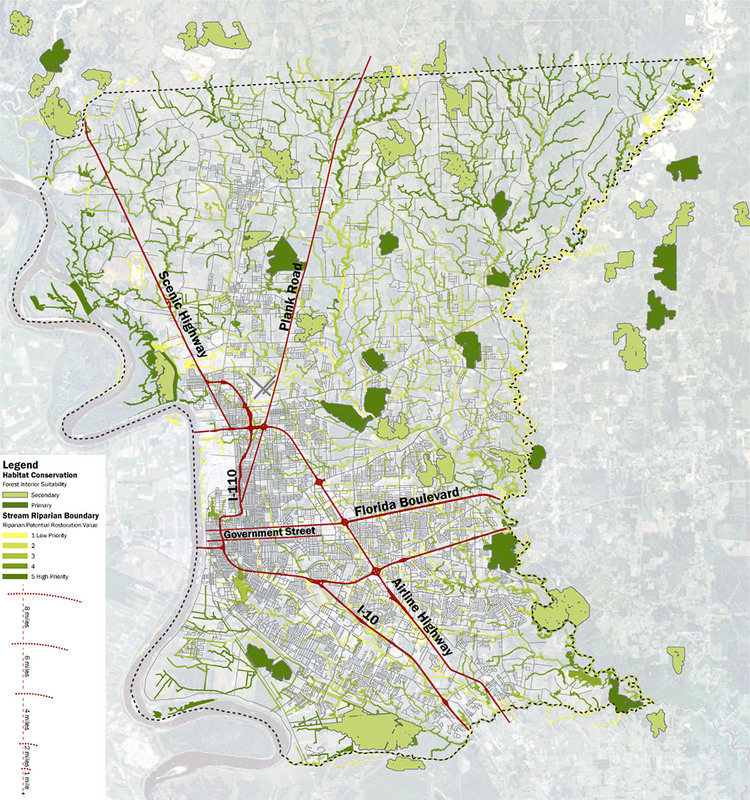 Dana Brown & Associates worked in close collaboration with the Parish’s Planning Department in determining and mapping over 100 detailed sub-watersheds. DBA determined the undeveloped and underdeveloped land areas most vulnerable to development, as well as those most critical to protecting wildlife habitats and water quality. These are the highest priority for protection and conservation.